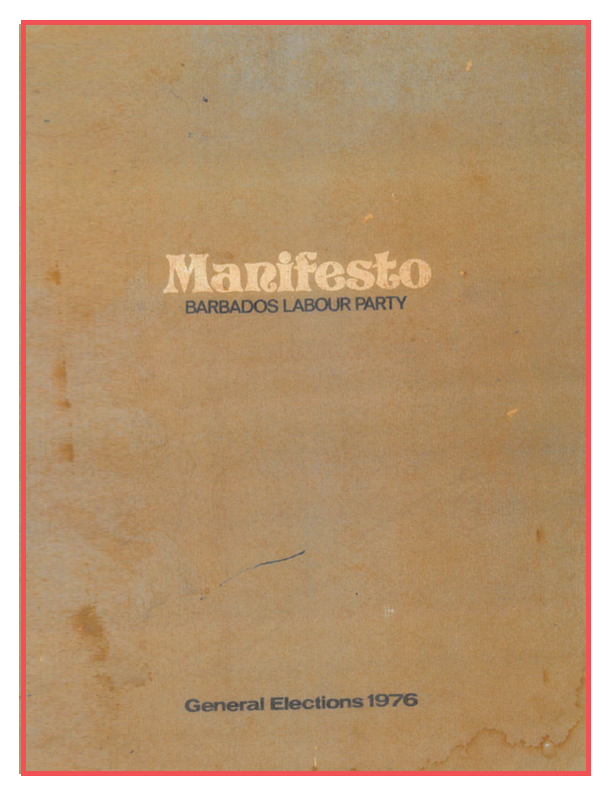 General elections were held in Barbados on 2 September 1976. 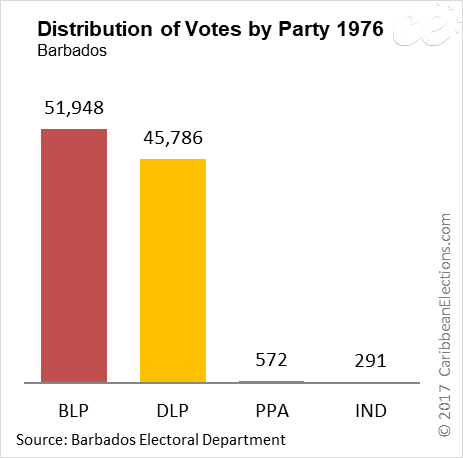 Elections were held for all 24 seats in the House of Assembly using a first-past-the-post system. 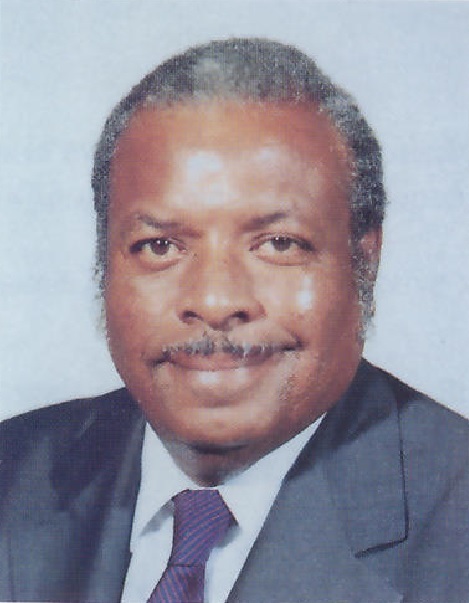 On the 9 August 1976, the Governor-General issued a proclamation dissolving Parliament and issued Writs appointing Wednesday, 18 August 1976 as Nomination Day and Thursday, 2 September 1976 as Election Day. 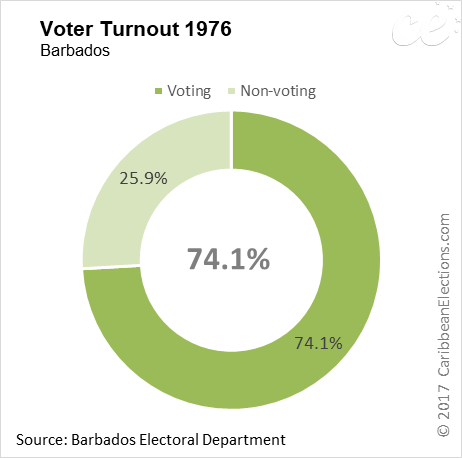 There were 134,241 registered electors; 74.1% or 99,463 voted of which 46,003 were males and 53,460 females. 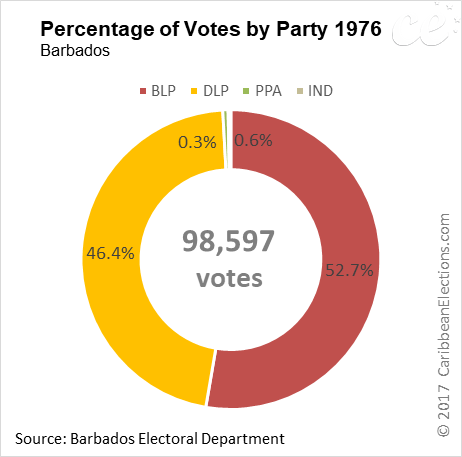 Three parties contested the 1976 general elections: the ruling Democratic Labour Party (DLP), the Barbados Labour Party (BLP) and the newly formed People's Political Alliance (PPA). 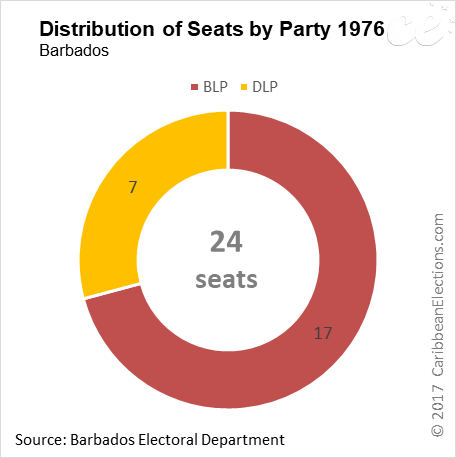 There were 59 candidates with the BLP and DLP both presenting a full slate of 24 candiates. The PPA presented eight candidates and there were three independent candidates. 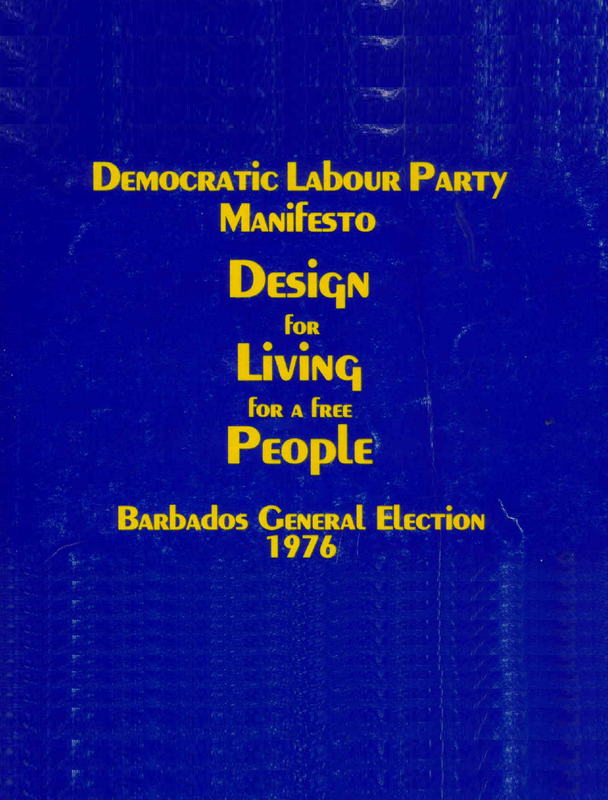 Outgoing Prime Minister Errol Barrow's 15 years in office ended with polling day as the BLP - which had campaigned, inter alia, for a programme to fight unemployment, for free enterprise and for new faces and new ideas in government - gained an additional 11 Assembly seats, bringing its new overall total to 17. BLP leader J.M.G.M. 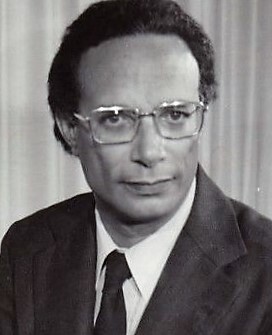 "Tom" Adams was sworn in as the island's Second Prime Minister.